Base of apple wood and jewelry resin. Lampshade of glass with crackle glaze. 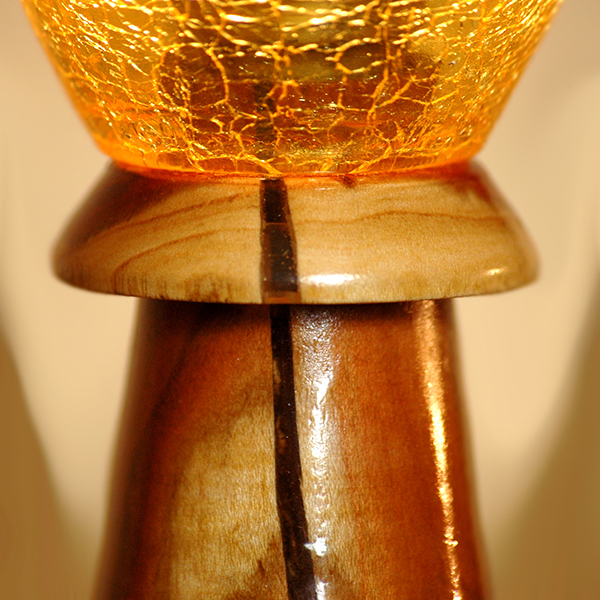 A small handmade lamp with base of natural apple wood and jewelry resin. The glass lampshade is decorated with crackle glaze. An unusual upwards light direction allows to use it to light up paintings and interior decorations. Also perfect as a nightlamp.